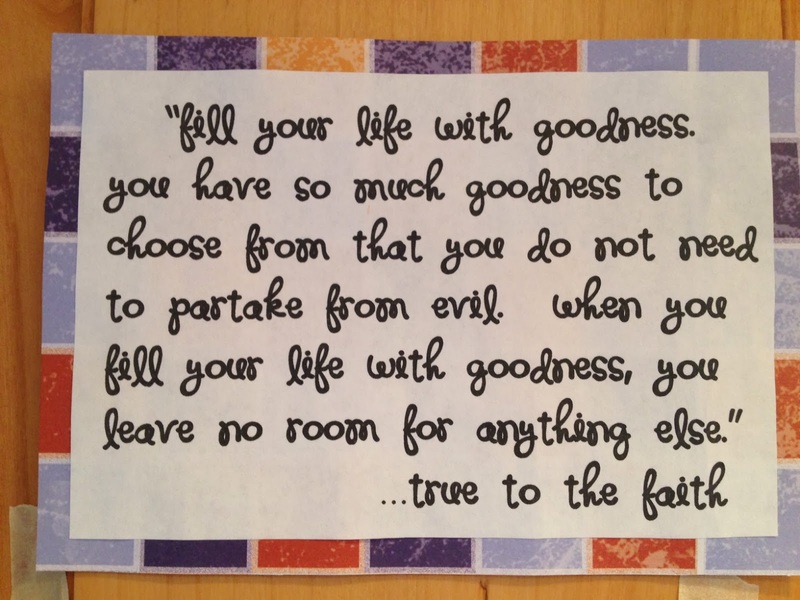 Mormon Moms: Fill Your Life With Goodness! 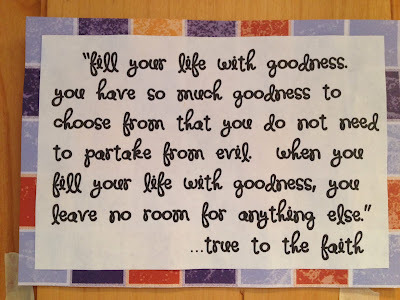 Fill Your Life With Goodness! My daughter made this little post for our kitchen cupboard before she left on her mission to Virginia. It's been a reminder, including to her younger siblings, that these truths are for us all.